Thank you for your help on my original questions. 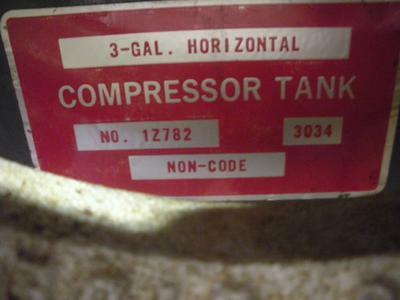 I am enclosing pictures of the plates on the tank, compressor, and motor. Although the tank is in excellent condition with no visible rust, I did not see any specified tank pressure rating. Maybe the numbers on the plates mean something to you regarding the pressure rating. Should I stay with the psi numbers you told me in your last post? I plan on buying the pressure switch that you suggested in your last post. Can you also suggest a pressure relief valve to purchase so I can submit one order on amazon. Regarding the plumbing for the unloader; should that be copper, aluminum, or plastic? Is that the type of thing that I can go to Home Depot or Lowes to buy? Danny, I don’t know which was the original post, as there are thousands. 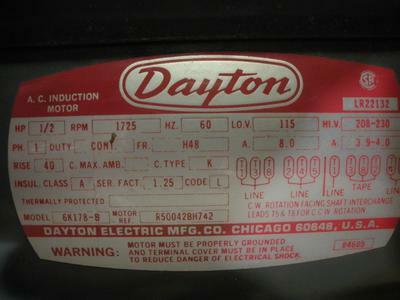 The labels are useful in that they confirm that yours is a 1/2 HP motor on the compressor, and giving you some electrical specifications and guidance. 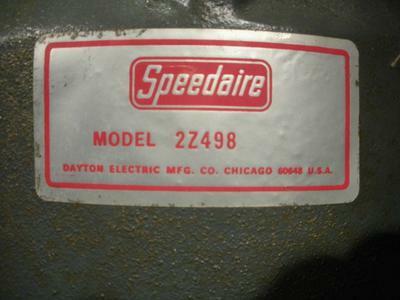 I don’t recall what was the pressure switch settings on your original post, but an upper pressure in the 135 – 150 PSI should be OK, again, as long as the tank is sound. That I cannot tell you from a post or photo. The air going to a compressor tank gets hot, and often the line to the tank does too, and if the unloader line is running adjacent to the motor or pump, it too can get quite hot. Unless it’s high heat plastic you might get melting. It’s easier to use soft copper tube in my opinion, as long as you can either get the compressor fittings or can use a flare tool. Copper is heat resistant and does not corrode. Your PRV will typically have a cracking pressure higher than the cut out of your pressure switch, so the pressure switch reaches cut out before opening the PRV, and yet the PRV will open if the pressure switch fails and will dump the air before pressure becomes critical.